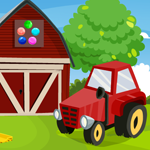 Games4King - G4K Find My Old Car is another point and click escape game developed by Games 4 King. There were a few houses in a beautiful surrounding village. There was a my old car in that village. That old car was in a room. I had lost the keys of the room unexpectedly one day. Your duty is to find the lost key. It will help you find the keys to find the keys hidden there. Find all the clues and find the keys and find the my old car inside the room and congratulate you to win the game. The tricks of the trick are a little harder to find, but somehow it may be a matter of interest. This game is highly desirable. Good luck and have a fun! place pencils on left, then top left, then top right. I can't find where to place the bees. btw, are you new on EG24 or didn't you just post till now? silly me! forgot I had a scroll in my inventory. needed to solve the 5-color puzzle to get the container for the bees. not new. just haven't posted for a couple of years. been playing older games to catch up with the games I missed during my 6-month absence (end-of-life care for father-in-law).